Are you looking to buy life insurance for the first time? If so, you’re probably asking yourself questions, such as “How much life insurance cover do I need?,” “What kind of policy is best?,” And “Which company should I buy from?” Buying life insurance for the first time, like any other new experience, can be more than a bit daunting. So today we look at six important tips that I hope will make the process smoother by eliminating the confusion, frustrating false starts and unnecessary bumps in the road. Please CLICK HERE to watch on You Tube. First of all, you should understand why you need life insurance. While most people need life insurance at some point in their lives, many are not quite clear about its true value. Life insurance is designed to provide families with financial security in the event of the death of a spouse or parent, in short, a breadwinner. Life insurance protection can help pay off mortgages and other debts, help provide a university education, help to fund retirement and, of course, help in estate planning. In other words, if others depend on your income for support, you should strongly consider life insurance. Even if you don’t have any of these needs immediately, you still may want to consider purchasing a small “Starter” Policy, if you anticipate you will have them in the future. The reason: The younger you are, the less expensive life insurance will be. The first step is to determine the amount of coverage you need. The amount of money your family or beneficiaries will receive after your death is called a death benefit. To determine the proper amount of life insurance, you can consult a financial planner. Alternatively, you can get a ballpark figure by simply take your annual salary and multiply by five. As useful as calculators and rough estimates are, there are some things they don’t do. They cannot provide you with any final answers. Calculators only allow you to perform “Hypotheticals,” Recalculating and generating new results as you make and input new assumptions. 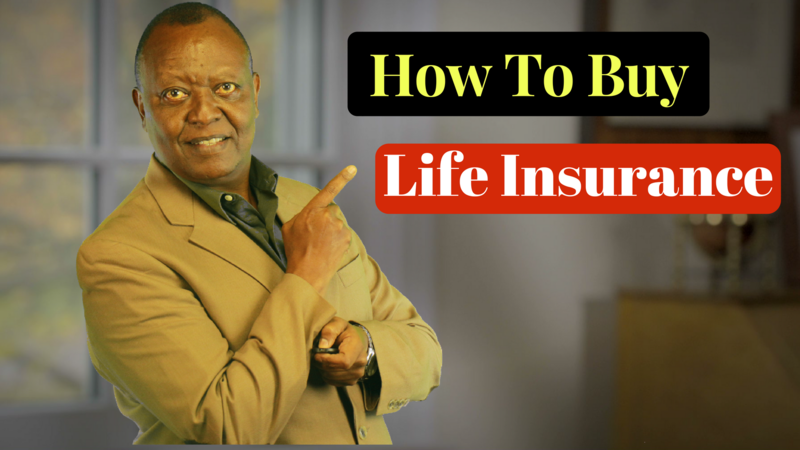 Using these tools and educating yourself on the workings of life insurance and other financial products, however, can help you feel more comfortable when discussing your needs with professional life insurance professional. Please CLICK HERE to watch on You Tube. Life insurance can be confusing, with terms like “Premium,” “Dividend,” “Beneficiary,” And many more. You can do some online research to get yourself familiar with the various technicalities so that you can understand better what are communicated to you by the life insurance agent and the life Insurance company. Once you figure out how much coverage you will need, you can think about the best kind of policy to meet your needs. You have two main options: Term life, for a more affordable premium, or permanent life, for more comprehensive coverage that can add cash value. Once you have settled on the type of policy, you need to look at the quality of the provider next. An insurance policy is only as good as the company that backs it. You want to make sure you choose a company you can rely on to be around for as long as you’ll need your coverage, and one that invests premiums in a highly prudent manner in order to ensure they are able to pay the claims of its policyholders. Life insurance is an important tool in your financial planning toolkit and you should consult a professional in making your decision. A financial professional can help you factor in your financial considerations, your needs, and your family’s needs. Look for someone who had exhibited years of experience in working with clients of similar demographics as yours. Understanding their areas of expertise helps you ascertain which areas of professional help they can extend to you. It is also important to be aware of any potential conflict of interest on your advisor’s part. An advisor who receives commissions for life insurance products you buy may not be in a position to give you unbiased advice. Whatever you do, make sure you put in place adequate life insurance protection in place. You personally may not need it, but your dependents definitely do. Don’t let them down! Please CLICK HERE to watch on You Tube.